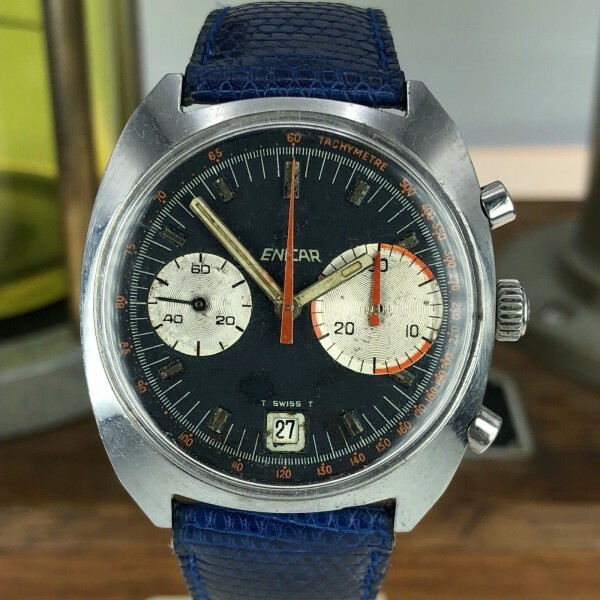 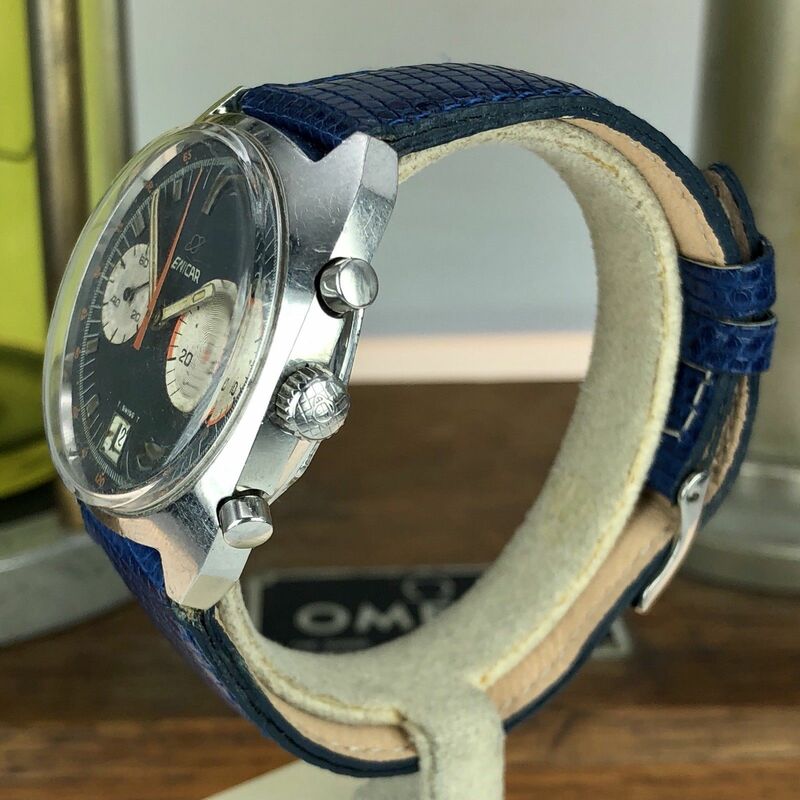 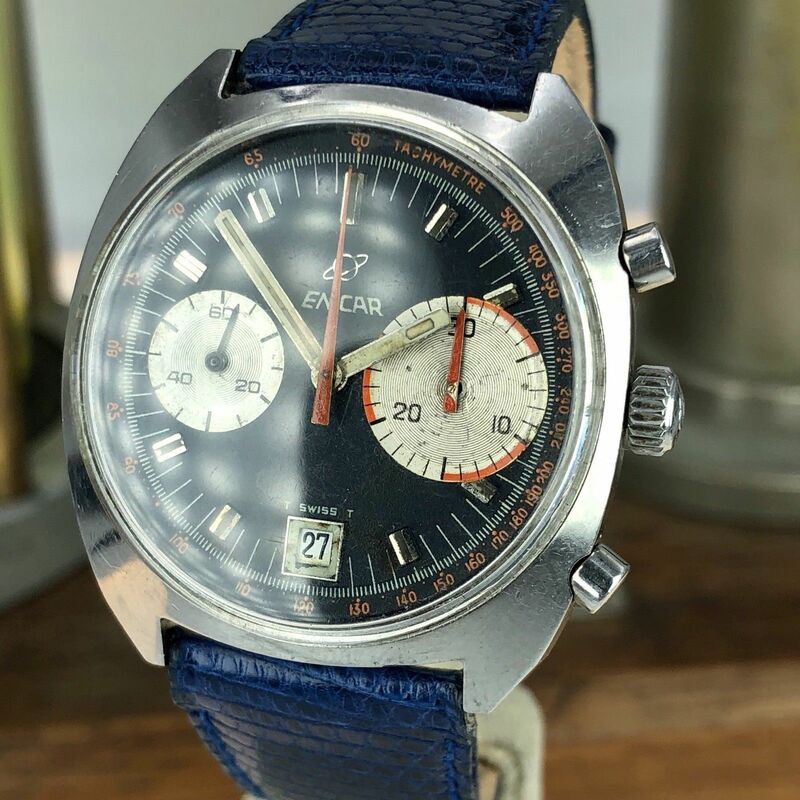 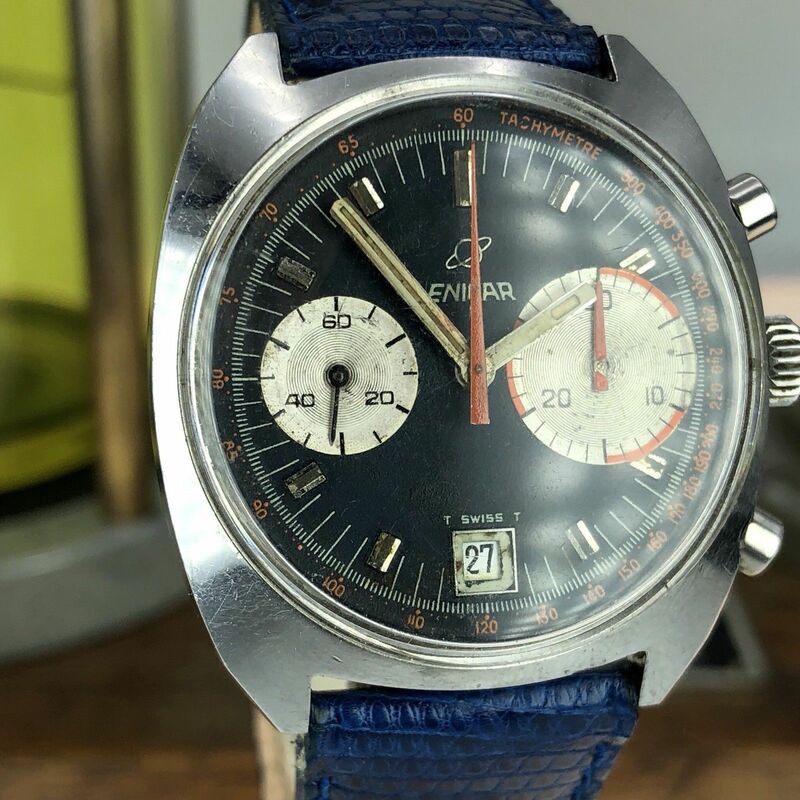 About the watch: 1970’s Vintage Enicar Big Eye Chronograph Valjoux 232 Manual wind Tritium Dial. 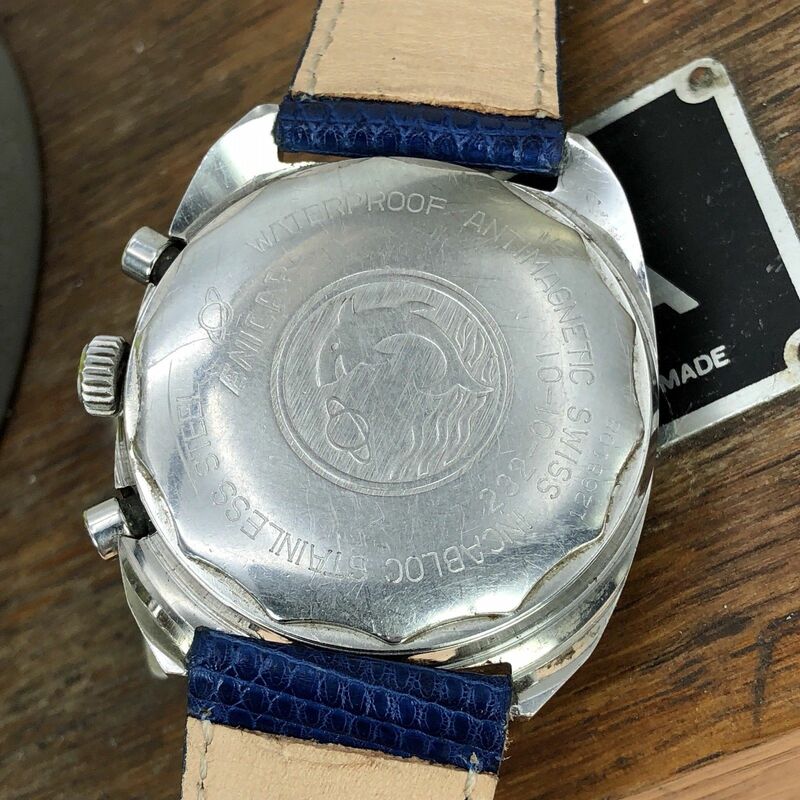 Case and band: shows some wear, overall good used condition. 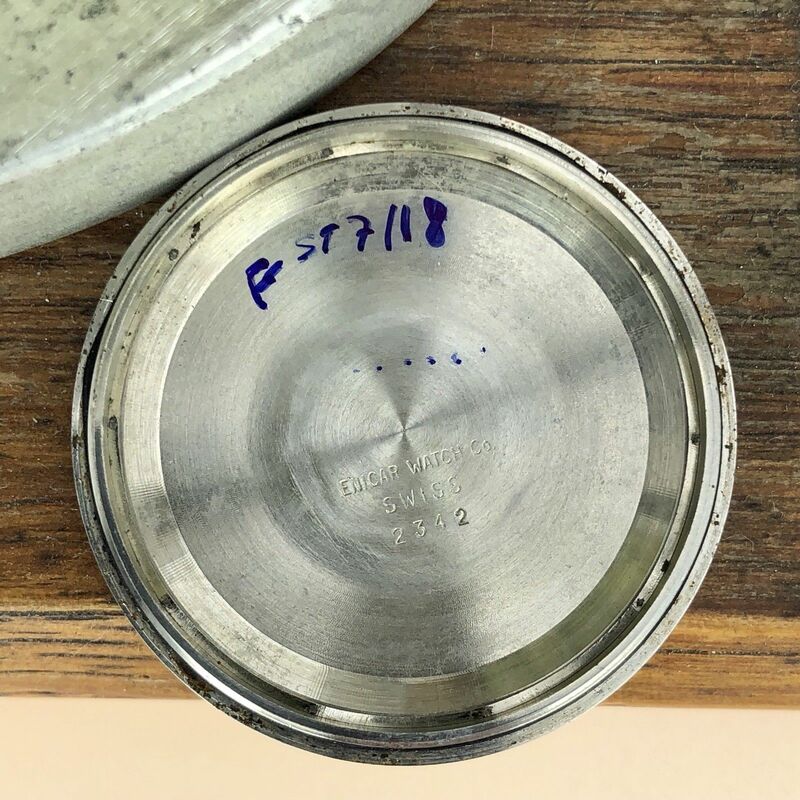 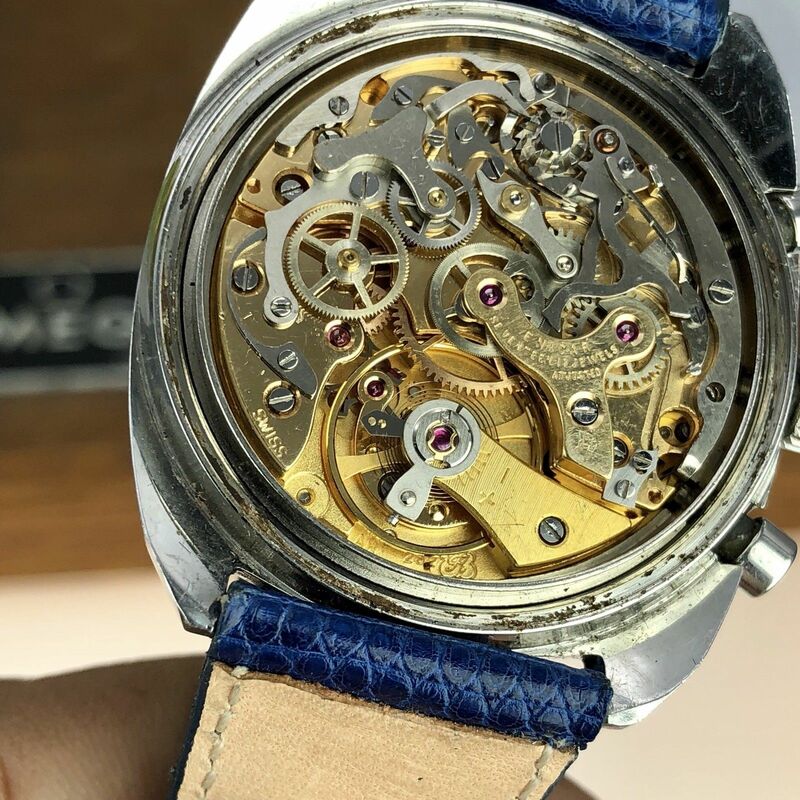 Case Diameter: 37mm (crown excluded) band is replacement. 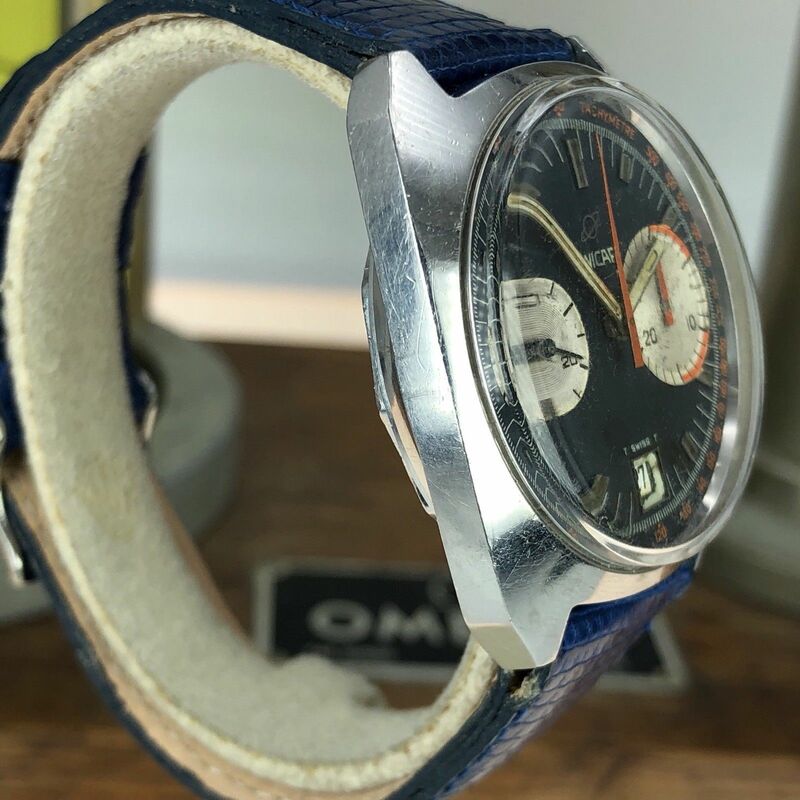 Dial and hands: 100% Original shows some wear, and original hands. 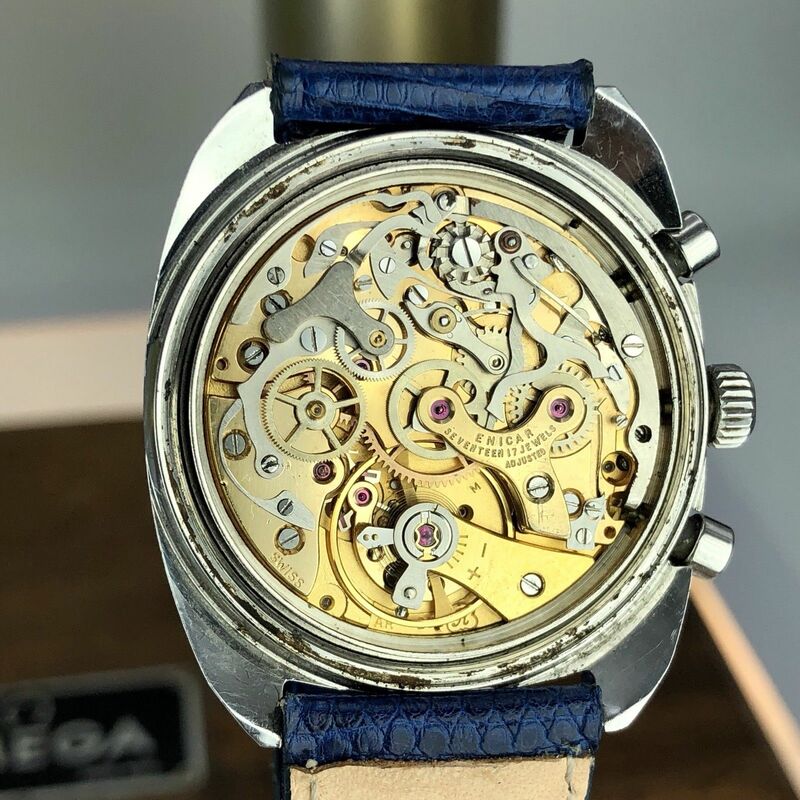 Movement: Manual wind Chronograph (Valjoux 232) recently serviced.